If it's cold, rainy or both you're probably not looking to head out to the golf course. If you still have that urge to get off the couch, swing some clubs and hit some putts, we thought we'd give you four great places to play indoor golf in Seattle. 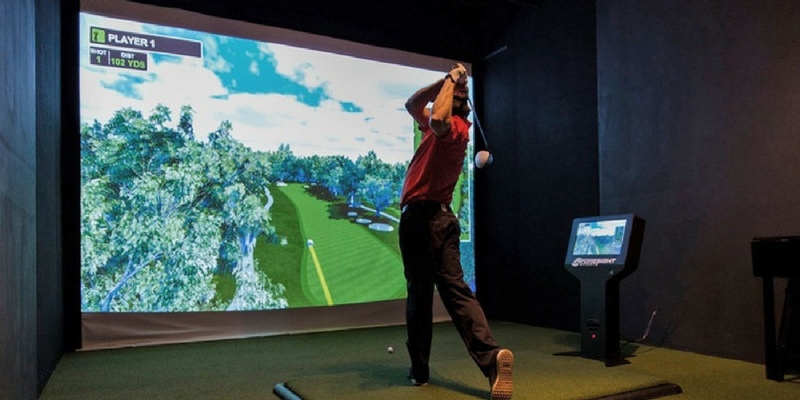 Located in Lynnwood, Clubhouse Golf Center has top of the line simulators that allow for customers to come and play any of their 80 championship courses (St. Andrews, Bandon Dunes, etc). It's a great place to bring your family or enjoy a beer with friends. During Seawhawks games, fans can even save 50% on their round! CGC can be rented for private parties or corporate events. Definitely a great place to play some indoor golf around Seattle. Havill is a private indoor golf facility located in Bainbridge. Members have the ability to access simulators 7 days a week for practice and enterainment. The studio also has openings to the public for lessons and club fitting with one of the experienced golf instructors. Interested in a some fun competition? Havill also hosts Monday Night Football Golf League to compete on a two to three player team for cash prizes. Ultimate Indoor Golf is new to the Seattle area. Head over to play on some of the most prestiges golf courses such as Torrey Pines and Pebble Beach (just to name a few). If you do not have time to play a full round of golf or there's poor weather, head to UIG to play 18 holes in about an hour! For some fun compeition, look out for some select indoor golf tournaments here (depending on the season). You won't find any fancy simulators here. In fact, you don't even need to bring your clubs. What you will find at Flatstick Pub is a great beer list and an indoor 9 hole mini-golf course. Maybe you'll improve your short game. Maybe not. But you'll defiintely have a great time at this Seattle watering hole.